"Quality Engineers" is counted amongst the leading manufacturers & exporters of Engineering Education Laboratory Equipment. 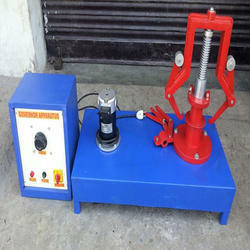 The wide range of equipments is in compliance with the International standards. 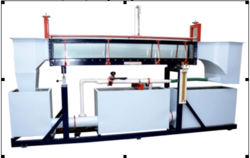 Established in the year 2013, Quality Engineers commenced its operations as a manufacturer, exporter and trader of state-of-the-art Engineering Education Laboratory Equipments. An ISO 9001:2008 certified company; Quality Engineers has ever since grown and evolved into a name to be reckoned with excellence in the field of Engineering Education Laboratory Equipment. Providing undivided attention to the diverse needs and specifications of laboratories and research centers, each equipment is brainstormed, outlined and created at our own manufacturing unit. 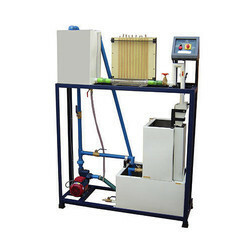 The wide range of equipments is in compliance with the International standards and adheres to the industrial guidelines. Committed to offer a unique blend of innovative thinking, technical expertise, unmatched competence and value for money, the company boasts of distinguished clientele from all over the world. 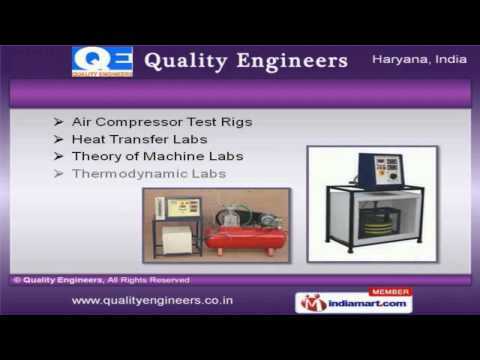 Established in the year 2013, Quality Engineers commenced its operations as a manufacturer, exporter and trader of state-of-the-art Laboratory Equipments. An ISO 9001:2008 certified company; Quality Engineers has ever since grown and evolved into a name to be reckoned with excellence in the field of Laboratory Equipment. Providing undivided attention to the diverse needs and specifications of a number of laboratories and research centers, each equipment is brainstormed, outlined and created at our own manufacturing unit. Driven by values and business ethics, the wide range of equipments are in compliance with the International standards and adhere to the industrial guidelines. 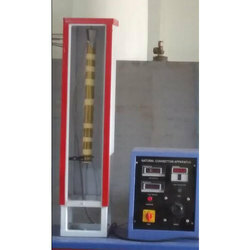 The encyclopedic range of lab equipments furnished by the company includes FM Lab Equipments, Heat Transfer Lab Equipments and Hydraulic Machine Lab Equipments. The team of highly trained dedicated professionals with an expertise in their field, work hard to achieve highest level of quality, efficiency and safety. Committed to offer a unique blend of innovative thinking, technical expertise, unmatched. Led by Akash, a technocrat and a postgraduate in Mechanical Engineering, we at Quality Engineers is a team of dedicated professionals. When the young technocrat first thought of this company as his maiden venture, two things were motivating factors. He said to himself, I need to give my customer ''''Quality" products, and I need to give my customer the ''''best in market'''' products. Innovation is my domain as an engineer. I have to continuously innovate better products. This idea, later evolved in to spine and soul of the company. Quality and Engineering were two benchmarks we wanted people to associate our company with. Apparently the name of company sprung from these two benchmarks.Quality Engineers. The aim of Akash is not to have thick bottom lines in Balance Sheets. But the thickest line,ever, in Customer Satisfaction, by any Education Equipment Manufacturing Company. And to achieve Akash''''s aim, We at Quality Engineers strive day in day out, 24x7x365. For our collective aim is to be the ''''Best In Industry.